G is for Google, as the company's chief executive, Larry Page, put it this week in a blog post introducing Alphabet, Google's new corporate name. G is also for genericization. That's the process of becoming generic, or "not sold or made under a particular brand name," according to Webster's dictionary. The definition is of more than just linguistic interest to Google and its shareholders. Google is one of the most valuable brands in the world. According to Forbes magazine, it ranks third with an estimated brand value of $66 billion, behind Apple and Microsoft. The company vigilantly defends its trademark, both in and out of court. It's in no imminent danger of losing its trademark protection. But given the popularity of Google's brand, and how it has entered mainstream English usage as a verb (to google) and participle (googling), it may only be a matter of time. If so, it will join the distinguished company of aspirin, cellophane, thermos, escalator, dry ice and trampoline - all once-prominent brand names that lost their legal status as protected trademarks after entering mainstream usage. Webster's itself has been genericized as a synonym for dictionary, and the name can be used by anybody, even though it's owned by Encyclopaedia Britannica. Thanks to zealous policing by their corporate owners, Band-Aid (Johnson & Johnson) and Kleenex (Kimberly-Clark) still cling to protected trademark status, but are so much a part of common usage "they're almost 100 percent of the way to genericization," said Grant Barrett, a lexicographer and co-host of a public radio show about language, "A Way With Words." Xerox, FedEx, TiVo, Skype and Photoshop face similar issues. All are trademarked names commonly used as verbs. Google, however, is hurtling toward genericization with unprecedented speed, according to linguistics experts. The word google was derived from the mathematical term googol - the numeral one followed by 100 zeros, or 10 raised to the 100th power. It was registered as a domain name by the company in 1997. Its first known use as a part of speech came just a year later, when Page appended the phrase "Have fun and keep googling!" to an email announcing new search features. Two months later, The New York Times reported: "According to dating experts, it is increasingly common for people to perform Web searches on their prospective mates. A search engine that is often used for this activity is called Google, which has spawned a new verb, to google, as uttered in sentences like, 'I met this woman last night at a party and I came right home and googled her.'" A year later, google had so entered the vernacular that it appeared on prime-time television in an episode of "Buffy the Vampire Slayer": "Have you googled her yet?" Willow, Buffy's best friend, asks her. The language establishment took notice. The American Dialect Society voted "google" as runner-up for word of the year in 2002 (behind "WMD" and ahead of "blog"). Google appeared in both the Oxford English Dictionary and the Merriam-Webster Collegiate dictionary in 2006 and is now in nearly all English dictionaries. Google itself deemed these developments to be "simultaneously highly flattering and faintly unsettling," as the company put it in a 2006 blog post. "While we're pleased that so many people think of us when they think of searching the Web, let's face it, we do have a brand to protect, so we'd like to make clear that you should please only use 'Google' when you're actually referring to Google Inc. and our services," the company said, in what proved a futile effort to turn back the language tide. That doesn't mean Google has lost its protected status yet. Last year a federal judge rejected a claim that the Google trademark is generic because a majority of the population uses "google" as a verb for Internet search. "To be generic, a word has to refer to an entire category," said Geoffrey Nunberg, who teaches linguistics at the School of Information of the University of California, Berkeley, and is the author of "The Way We Talk Now." (He appeared as an expert witness on language for Google.) "People almost never say, 'I googled this on Bing.'" Laura Heymann, a professor at William and Mary Law School and author of "The Grammar of Trademarks," a widely cited law review article, noted: "It's possible for people both to say 'Let me google that' and to recognize that 'Google' is a search engine provided by a single company. If you asked someone to sit at a computer and 'go to Google,' I'm guessing that almost no one would open Bing or another search engine. 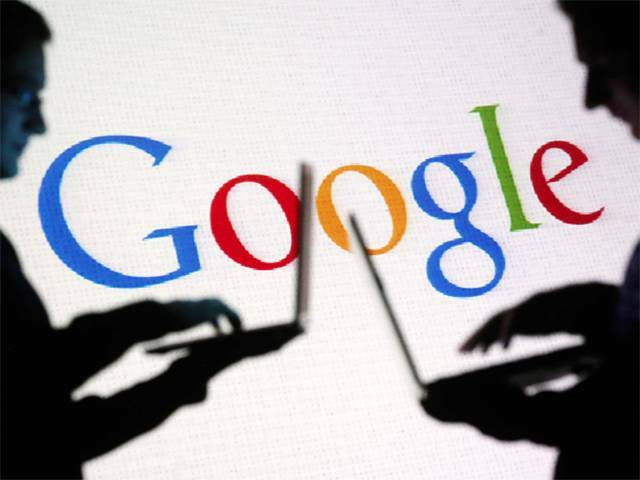 Google is no doubt working very hard to prevent that from happening." But the powerful forces of language, "one of humanity's most important innovations," in the words of Page's recent post, may swamp even Google's efforts. The term google is now so deeply embedded in the language as a synonym for Internet search that it can be difficult for Google's nonsearch products to shed the association. That is why Barrett applauds the corporate name change. "It's a great way for the company's other ventures to come out of the shadow of Google and establish their own identity," he said. Barrett said some linguists had complained that "Alphabet" was too bland to be an effective brand, "but it's perfectly fine for the mother ship as long as it's overseeing the other brands," he said. "It doesn't need to be a brand itself." Nunberg agreed. "Google is a powerful brand, but brands can be diluted when they're applied to too many things. Google needs to liberate the nonsearch brands." A Google spokeswoman dismissed the notion that the name change to Alphabet was motivated by linguistic concerns, but it seems consistent with Page's statement this week that "the whole point is that Alphabet companies should have independence and develop their own brands." Google said that its search-related businesses, along with a few others, including Android and YouTube, would remain part of the Google subsidiary. Ventures like Nest, which makes home thermostats and alarms, and Calico, a life sciences company focused on longevity, are not Google-branded, and will be separate companies free to develop their own brands operating under the Alphabet holding company. If the day comes when Google is deemed a generic term, the Alphabet holding company and these companies - and any new trademarks they develop - will be unaffected. In the meantime, "Alphabet" is all but immune from genericization. Google may pervade much of our lives, but one thing it will surely never control is the letters of the English language. Okay, so it is now time to show you how to create your own Google AdWords account.